OMG!!! We Got Recommended by Michelin Guide!! 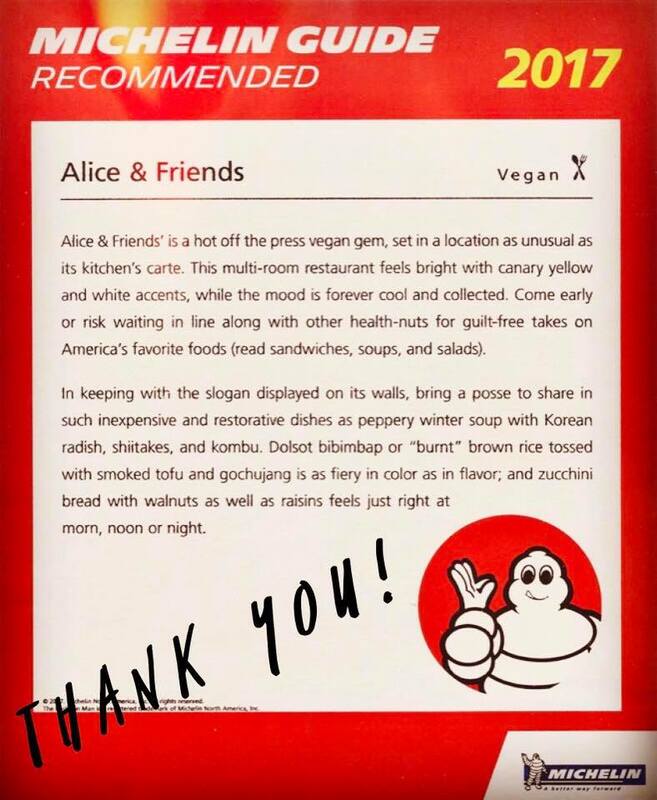 🙀 🙀 🙀 🙀 It is such an honor to be recommended by Michelin Guide!!!! Thank you so so so so much!!!! We really love what we do and this is an extra reward for us!!! 🙏🏼 🙏🏼 🙏🏼 🙏🏼 🙏🏼 Our goal is to create a wonderland for vegans and those who like and want to adopt a plant-based diet, to enjoy flavorful and healthy 100% vegan dishes. We aim to make a difference to people think about being vegans. We want to make it easy for people who wants to go vegan. Also, We are hiring both front and back house team members. Please email us your resume to aliceandfriendsvegankitchen@gmail.com if interested. Thank you! Thank you! Thank you!! Love you all!